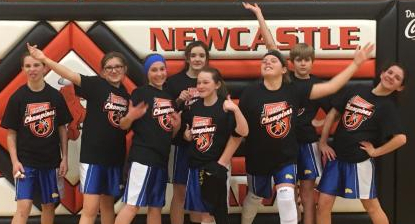 Wheatland Middle School had an excellent weekend of Conference Basketball. With team competing in two separate tournament locations, one team brought home the championship while the other three teams were Reserve Champions. Congratulations to the Seventh Grade B Team for their run to the Title in Newcastle on Saturday, December 1. The team under the coaching of Steve Polluck played the best that they have done all year and that is the right time to reach the peak! Congratulations to all girls for a great basketball season and thank you, coaches, for all that you do.